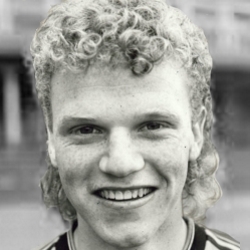 Gordon joined United on an 'S' form from Hutchison Vale in September 1982. He was a Scotland schoolboy and Under-16 international and became the youngest player ever selected for the national Under-18s. After being promoted to the reserve side, he made his competitive debut for the club as a substitute against Dumbarton at Tannadice in February 1985. 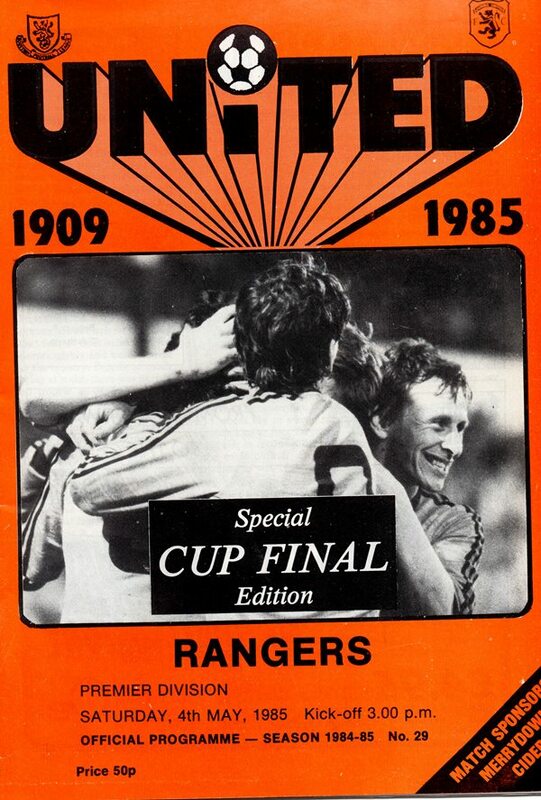 Playing mainly in the reserves during his time at Tannadice, he made a handful of first team appearances each season, and was an unused substitute for several European matches, including the famous victory in Barcelona in March 1987. His best spell in the first team was during the 1987-88 season, scoring his first professional goal against Falkirk in September 1987, and made his only European appearance against Coleraine four days later. In November 1988 he was transferred to Airdrieonians for around £100,000, but not long after returned to Tayside to sign for Dundee, where he was a regular during his two seasons at Dens Park. He returned to his hometown of Edinburgh in 1992 with Meadowbank Thistle, again a regular over the next few years. He remained with the club as they restructured to Livingston in 1995, eventually moving to junior side Bonnyrigg Rose in 1998. Gordon was born on this date in Edinburgh. United surmounted this hurdle with a fair degree of ease and two early goals really killed the match as a contest. Dave Beaumont was the instigator of both these with two long throws. His first found Ralph Milne who dispatched the ball swiftly past Arthur. John Reilly got the second when Dave's throw was headed on to John whose low shot beat Arthur at his right hand post. We gained only our second League win of the season, and though it took an act of charity by the visitors to create our first goal, we should have been ahead by the interval. Alan Irvine senior, restored to the side, and Gordon McLeod, making his first appearance of the season, were both prominent. A cross from Alan Irvine was dropped by Marshall at lain Ferguson's feet, but the 'keeper recovered to block his shot. Almost immediately Gilmour shot straight at Billy Thomson. Gordon McLeod did likewise at the other end. Just before the interval a shot by John Clark rebounded from the post. The much changed United eleven secured our first victory in four outings and the winning margin could have been considerably greater given a fairer share of the breaks. It was Motherwell who threatened first, when Cowan headed wide wide of the front post. After a sluggish start we gradually began to get on top and Ian McPhee was unlucky to see his shot rebound off the post in the 21st minute. A goal was only temporarily delayed. 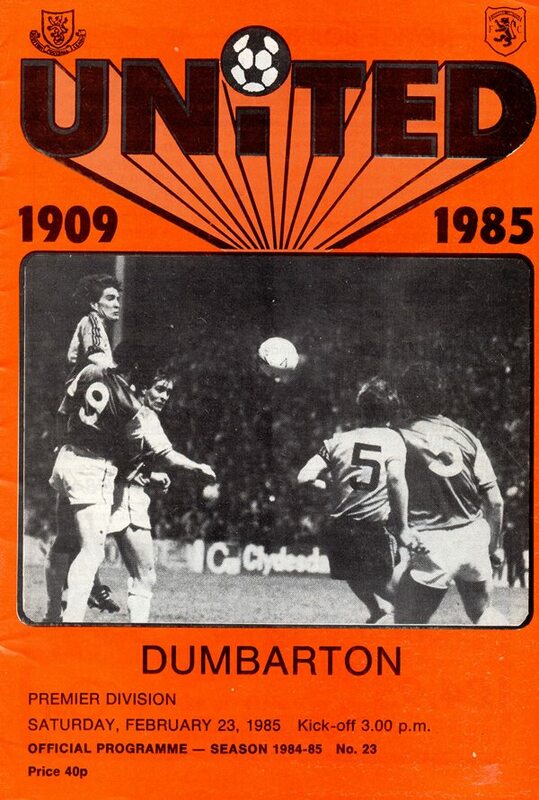 Two minutes later Jim McInally swun over a cross which Mixu Paatelainen headed into the corner of the net from 10 yards. The Finn was involved in our second goal in 35 minutes. He was fouled outside the box. The free-kick was rolled to Iain Ferguson whose powerful grounder slipped through Duncan's leg's and though the 'Keeper retrieved the ball, it wasn't in time to prevent it crossing the line.